I don't know about you but I like the idea of a 4 day week! I could definitely get used to it! Beckett doesn't start school for another couple weeks so we are looking to fill the weekdays while his neighbor buddies are away! Please send suggestions. We've been park hopping for the last week and it seems to be keeping the peace but I'm sure it's a ticking time bomb! I'm putting off the indoor crafts for as long as possible! Now is the time where summer clothes start to turn into fall clothes. Maxi dresses are a great example of a summer staple that can be adjusted for cooler temperatures. 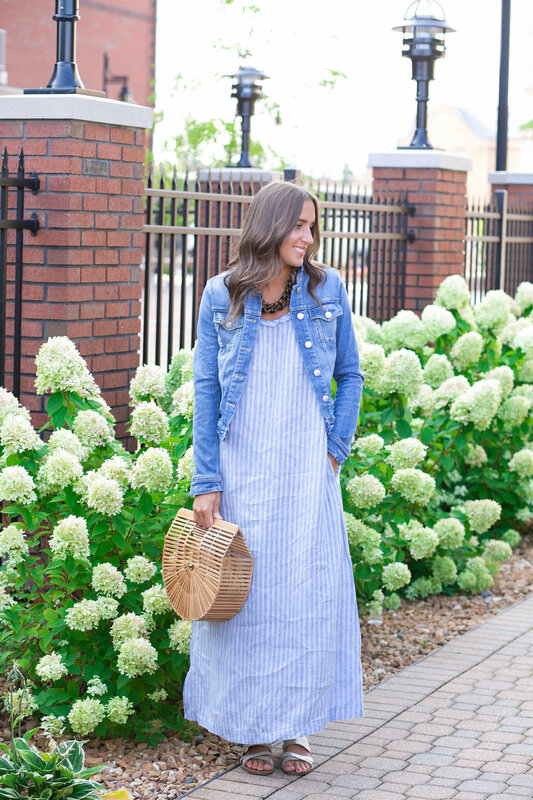 This adorable linen maxi dress was made for a jean jacket or chunky cardigan. Adding layers will extend the life of your clothes a couple extra months and also makes everything just a little more versatile! I've linked the exact maxi dress for you below and it's on sale for $47! 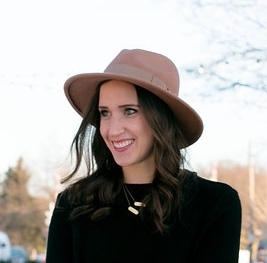 It runs true to size and has been perfect for daytime temperatures in the 70's and with an added jean jacket for nighttime temperature that dip into the low 60's. What are some other ways you extend the life of your seasonal clothing? I'd love to hear your tricks!